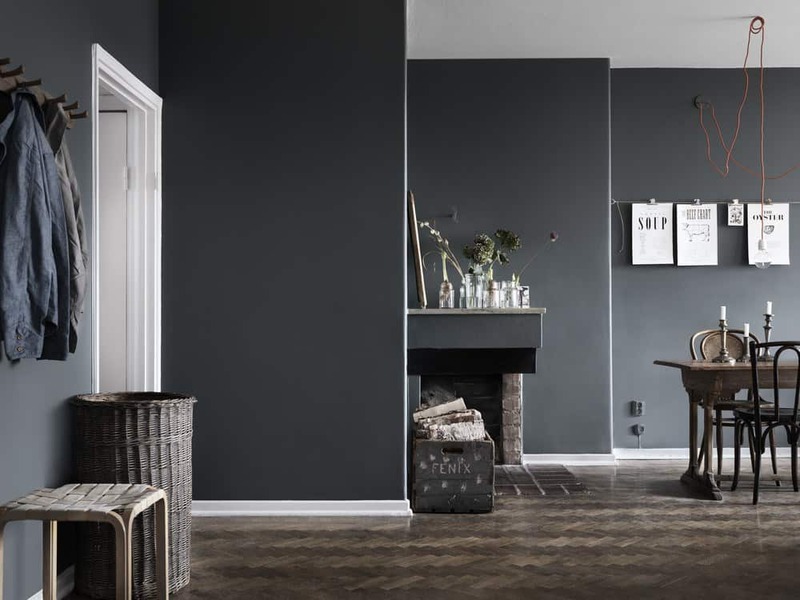 Dark walls have been a trend for a couple of years now. 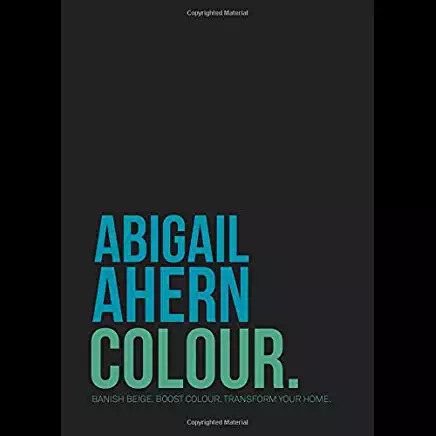 Abigail Ahern has become renowned for the dark wall drama she created at her London home and even runs workshops on how to get it right. And there is a reason for that; its not easy to get it right and you have to be very brave and confident to do it in the first place. In my home I went from white to pretty much black on the walls in my lounge. Its a big room and it never felt cosy in white, but the dark walls give it a totally different feel that almost gives you a hug when you walk in. Colours pop out at you and the boundary walls disappear as they’re not bouncing light back at you. It did mean that I had to totally reassess the layout of my room and also the focal points. 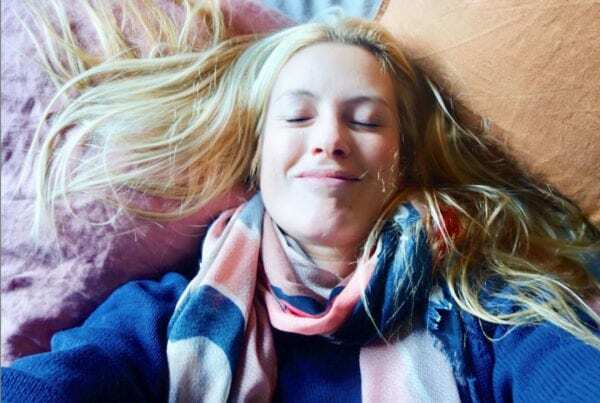 So, before you take the plunge, here are my top tips for how to get it right. You should also really think about the room or walls that you’re painting. High traffic areas like hallways and kitchens might not be the best plan as dark paint tends to have the same issue as white paint – everything shows and knocks and scuffs are really apparent. Also pick a good quality paint. It sounds obvious doesn’t it, but cheap paint can be a complete false economy. 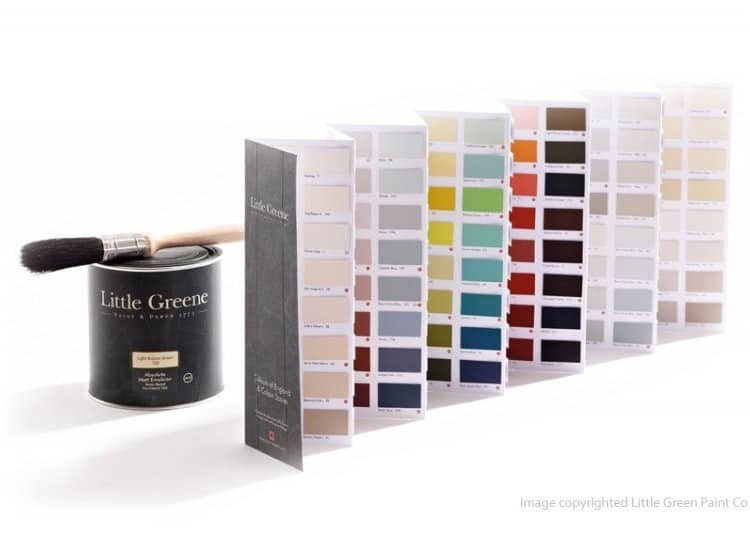 I was swayed by ‘a cheaper brand’ that offered to colour match to Farrow & Ball colours. Big mistake. Perhaps it was just the brand that I used, but 5 coats in and it was still streaky and lacked depth of colour. So 3 tins of cheaper paint at £26 each (£88 total) compared to 2 tins (or maybe less) of F&B Estate Emulsion at £35 each (£70 total) and I’ve got a painted wall but I’m not happy with the final effect at all, so will be repainting again when I’m ready for the bedroom upheaval all over again. 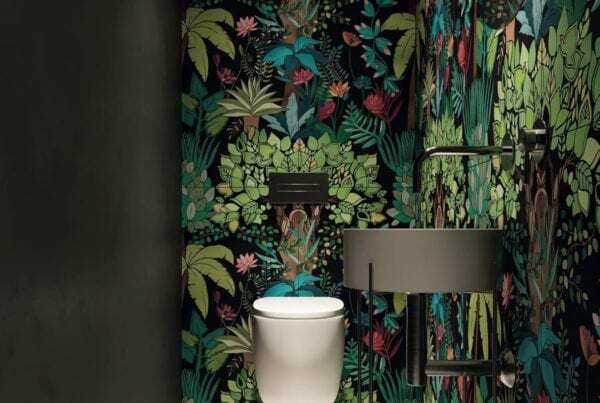 Plants and wood look fab against a dark wall; it accentuates their tonal range and plants in particular cast lovely shadow details on the walls. Natural materials also make the room feel warm and homely. I’ve got lots of fur and hides in my lounge and they totally work with the dark walls. If you’ve ever wanted to get an indoor tree, now is the time! They add interest to upper areas of the wall and create spaces of interest below. 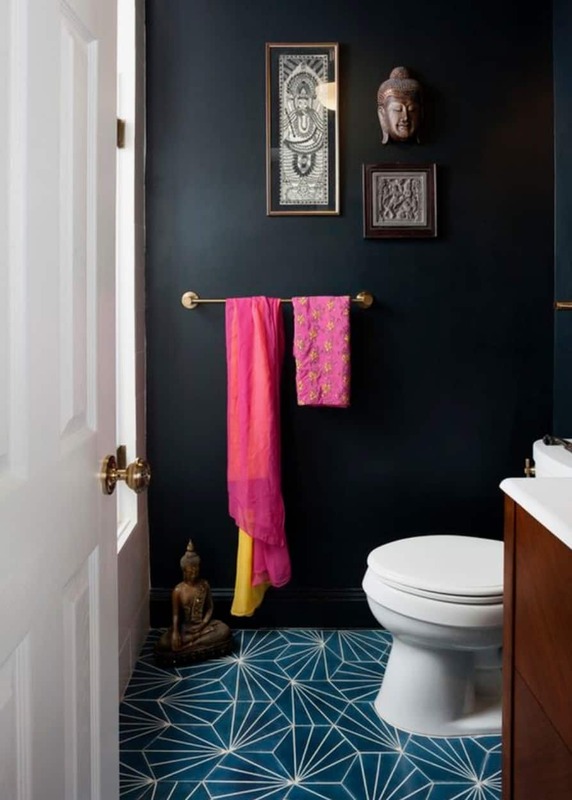 Dark walls add drama and the right lighting can triple that effect. 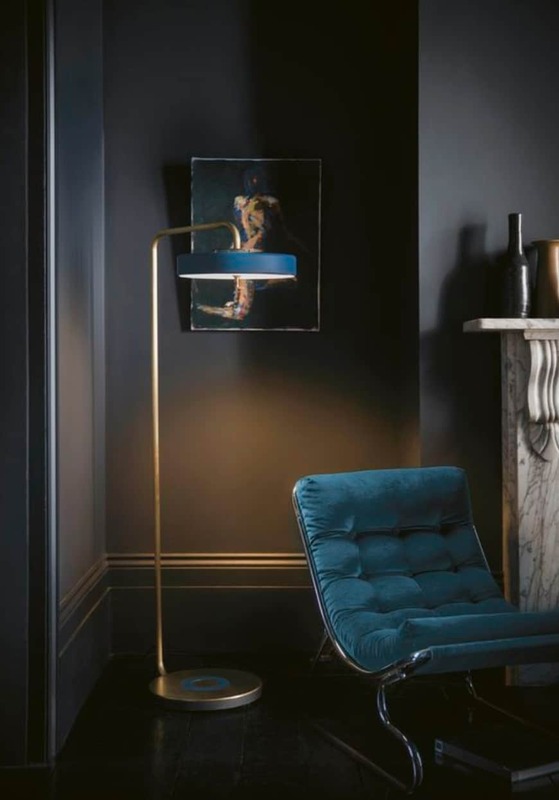 When the evenings draw in its great to recreate the natural light with lamps and floor light to light specific areas of the room, creating lit focal points. The best thing is that these focal points can be different to those used in daylight, as you can control the lit areas at night. Ceiling lights are fine, but really consider the shade that you use. Some let light out all round, other just the top and bottom, and some just throw light down towards the floor. 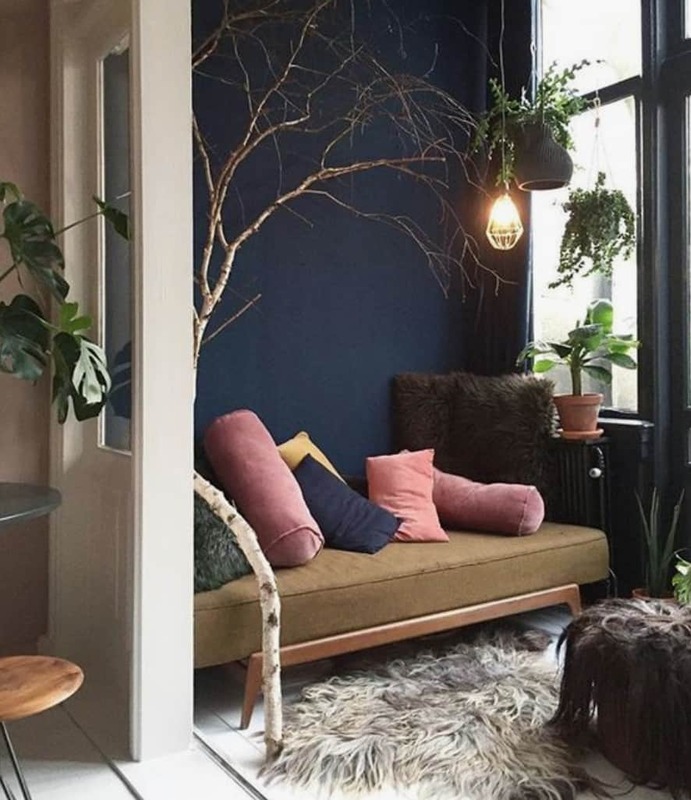 I’d suggest going for one that throws light in some areas and not others, rather than all around, as then you’ll get the benefit from the variations in the paint colour around the room. Coloured light is also tricky with dark walls… some colour will work and others just don’t. I’ve got a lampshade that throws pink/red light on dark grey walls and it looks fab, but equally I had a shade that threw a gold light and that ruined the tones in the paint for me. Colours look great against a dark canvas. 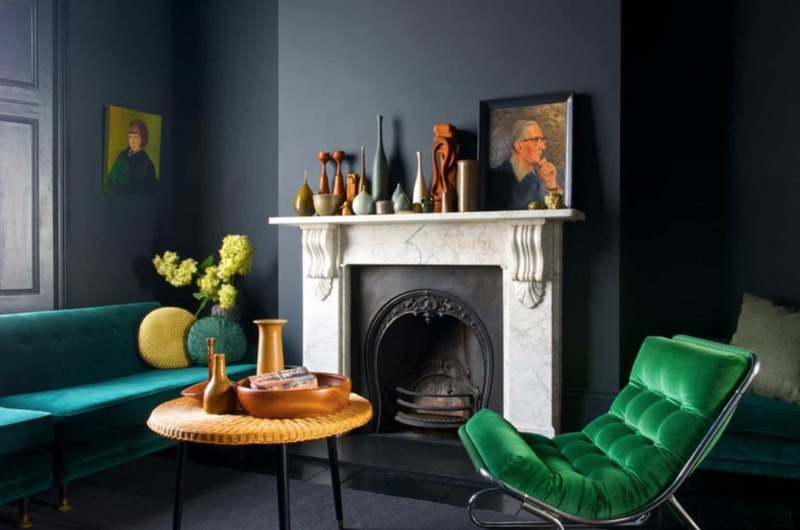 If you’re going for an eclectic style then go for it with colour! Bright and bold colour accents work really well with this style. 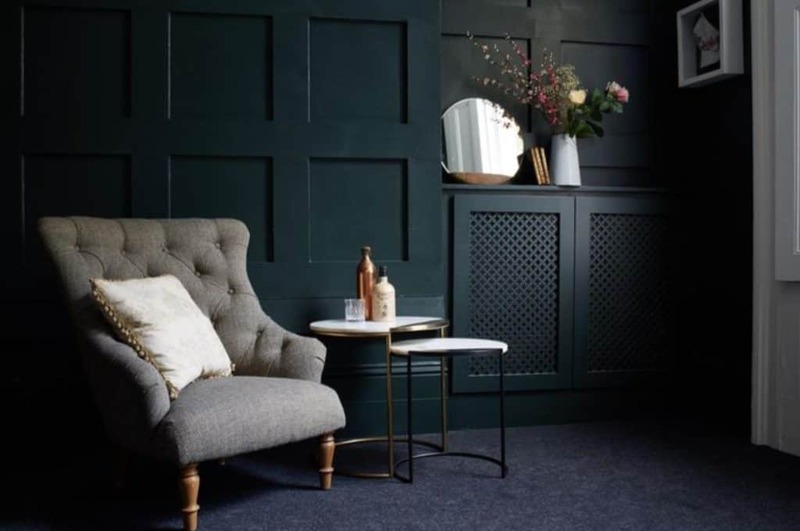 High contrast and ‘retro style’ items look fantastic with dark walls and the right lighting. 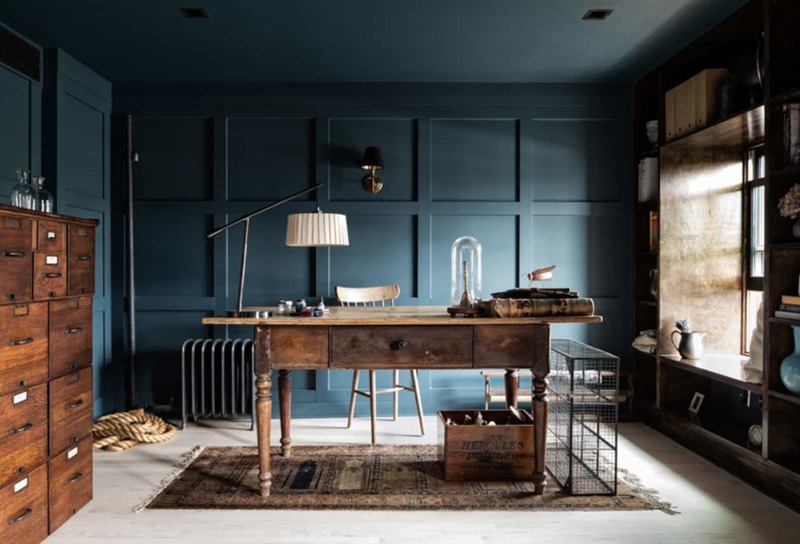 If your aiming to create a more relaxing or moody atmosphere, keep the colour minimal. 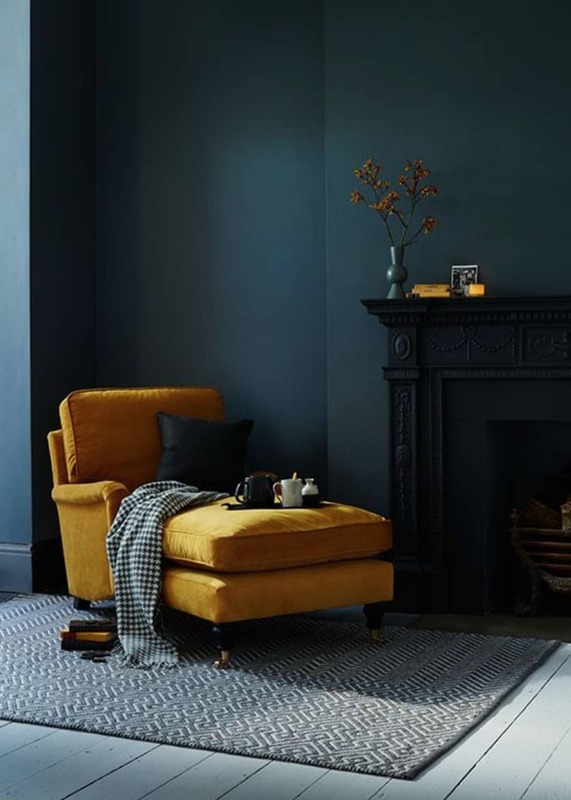 However, you can should probably add lighter blocks of colour in the room through rugs and other textiles and perhaps a natural coloured sofa, otherwise the light has nowhere to go and you’ll have no focal point to the room. 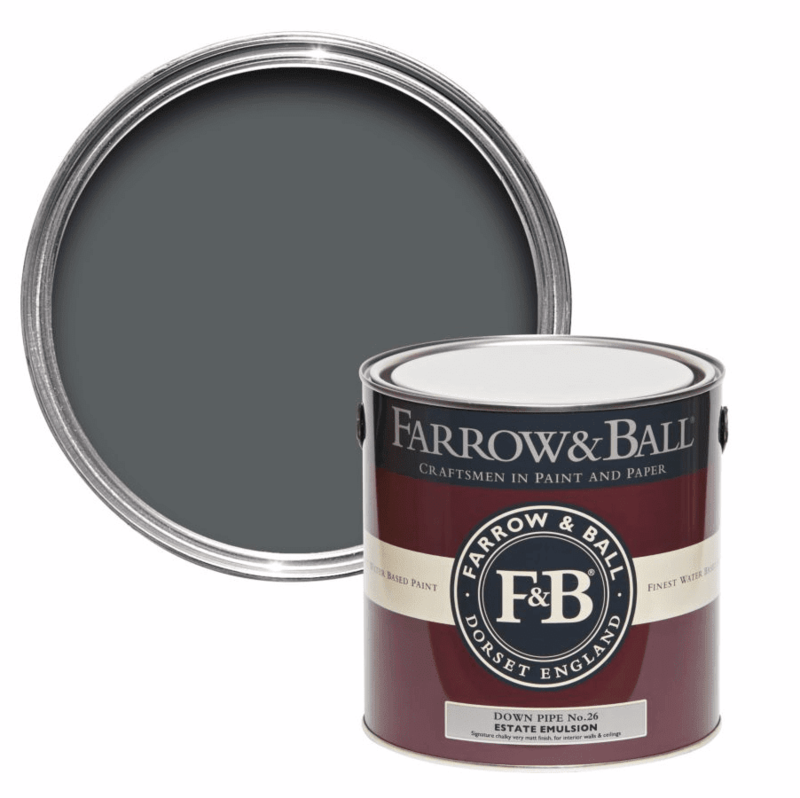 For me, you can’t go wrong with Farrow & Ball paint. Yes its not the cheapest, but its never let me down. They have a fantastic range of dark colours and one of my favourites is Downpipe. I’ve used it in my lounge and I love it! 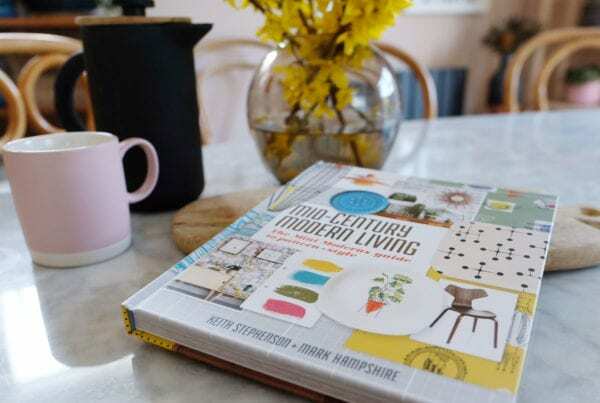 B&Q have recently started stocking it, so its easy to get hold of now! A fabulous paint company. They’ve got a wonderful selection of colours and it goes on really well too. My favourite has to be Hick’s Blue. 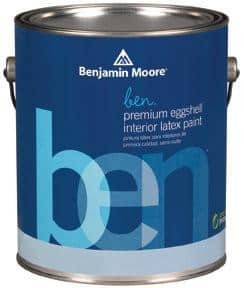 Benjamin Moore is the designer paint company everyone is talking about. They’ve recently released their colour of the year prediction for 2018 which is a vibrant red. However, my favourite is their Tulsa Twilight – beautiful! 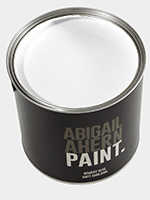 AA now has her own range of paint and one of our faves is MOTT. Mott is a hue that shouts midnight, glamour, gentlemen’s drinking dens. It will give any space an instant cool, chic, urban vibe. 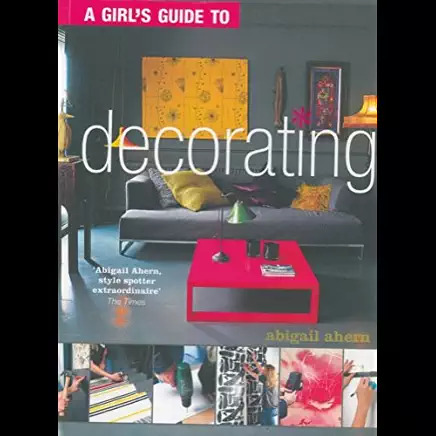 You can use it as a defining detail – on window frames, for example – or go the whole hog as I do and paint everything out. Ceilings, walls, floors, trim – love! If you need some more guidance, then go to the lady of dark walls herself! 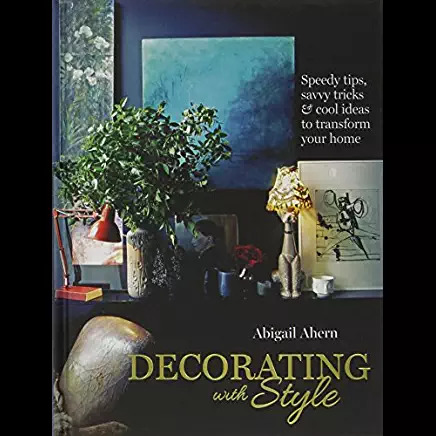 Abigail Ahern has a few books about how to style it dark.